The Hitachi C10FCH2 10-Inch Compound Miter Saw with Laser Marker provides smooth, accurate miters and crosscuts in a variety of workpieces, including wood, plywood, decorative panels, soft fiberboard, hard board, and aluminum sashes. 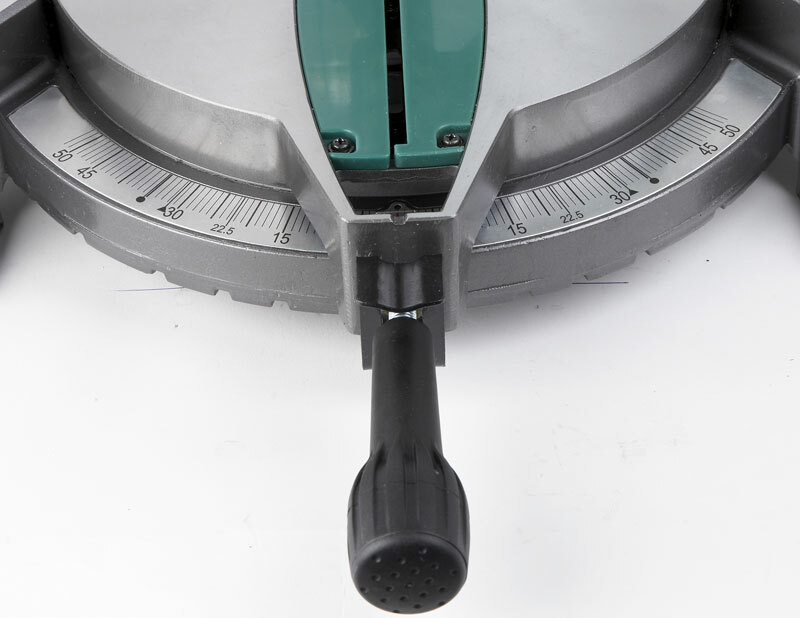 Its flexible miter angles and compound cutting capability provide versatility on the job. 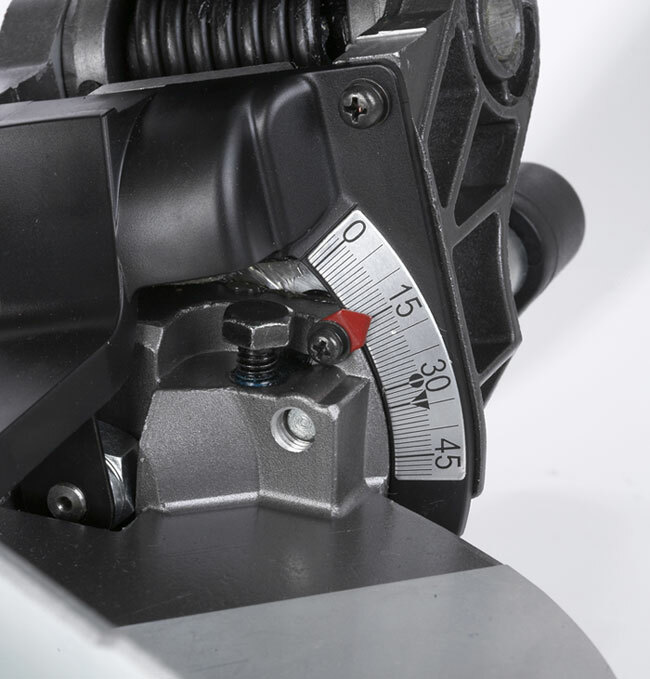 An ideal tool for trim carpenters, framers, and woodworkers who demand precision and reliability, the C10FCH2 features Hitachi's exclusive Laser Marker System for exact alignment and predictable blade location. Positive miter stops let you select preset points at specific angles. View larger. Adjust the bevel up to 45 degrees to the left for precision cuts. View larger. Dust collector keeps saw's interior components dirt-free. 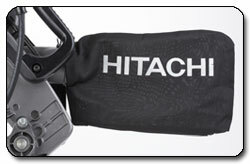 Hitachi designed the C10FCH2 for versatile, easy use. 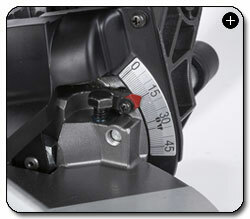 The thumb-actuated positive miter stops allow for simple miter adjustments between zero and 52 degrees. This design allows you to easily change the angle of the cutting blade for creating miters in crown molding and other trim pieces. And with a bevel range of 45 degrees to the left, the Hitachi C10FCH2 provides gorgeous bevels on the first try. The 10-1/2-inch TCT saw blade (included) makes easy work of delicate trim and other woodwork, and the large extended flip fence raises to four inches to allow for accurate cutting of large workpieces up to 2-5/16 inches high and 5-21/32 inches deep. 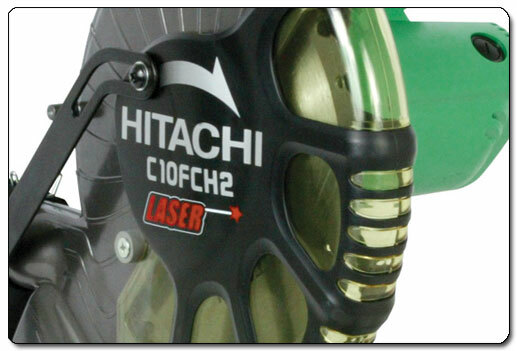 Hitachi equipped the C10FCH2 with its exclusive Laser Marker System, which can be activated before the blade is in motion for exact alignment and predictable blade placement. Simply line up the laser with your mark on the workpiece, and the saw blade will make an exact cut along the laser guide. As long as your measurements are right, your cuts will be, too! The C10FCH2 has plenty of features to help you make the perfect cut the first time. To start, a 15-amp motor generates a no-load speed of up to 5,000 RPM for making crosscuts and miters with ease, even on the toughest cutting jobs. For ease of use, a comfortable horizontal handle with a vibration-reducing elastomer grip keeps you in control at all times, a large table provides a stable guide and sturdy support, and a built-in clamping system holds your workpiece in place. The C10FCH2 also includes a dust collector that minimizes accumulation of dust and particles in your both your workspace and the saw's interior components, keeping your jobsite clean and prolonging the life of the tool. An added bonus, easily accessible carbon brushes will help your saw perform for the long term. Weighing just 26.5 pounds, the C10FCH2 is the lightest tool in its class, making it the most portable 10-inch compound miter saw with laser marker on the market. Durably built, this tool is backed with an industry-leading five-year warranty. 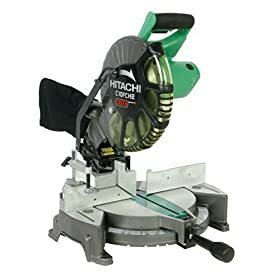 It is compatible with the UU610 Miter Saw Stand from Hitachi. Hitachi Power Tools (Hitachi Koki USA, Ltd.) provides professional-grade power tools for a variety of applications, including woodwork, metalwork, concrete, drilling, cutting, and fastening. Hitachi is a leader in power tool research and development and has achieved many firsts in the power tool industry, including creating the first-ever sliding compound miter saw to combine the capacity of a radial arm saw and the convenience of a miter saw. 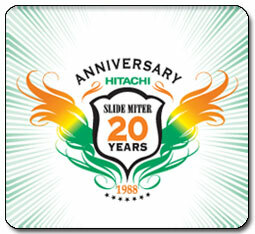 Today, Hitachi continues the tradition of innovation and engineering with new features in addition to classic quality. C10FCH2 Compound Miter Saw with Laser Marker System, 10-inch TCT Saw Blade, extended fence, dust bag, vise assembly, box wrench, and hex bar wrench. Make precise cuts with the exclusive Laser Marker System.